A man walks outside to his car for work, when he notices a gorilla in his tree. He rushs to his phone book and finds the animal control number, calls and asks them to send over someone who's a gorilla expert. 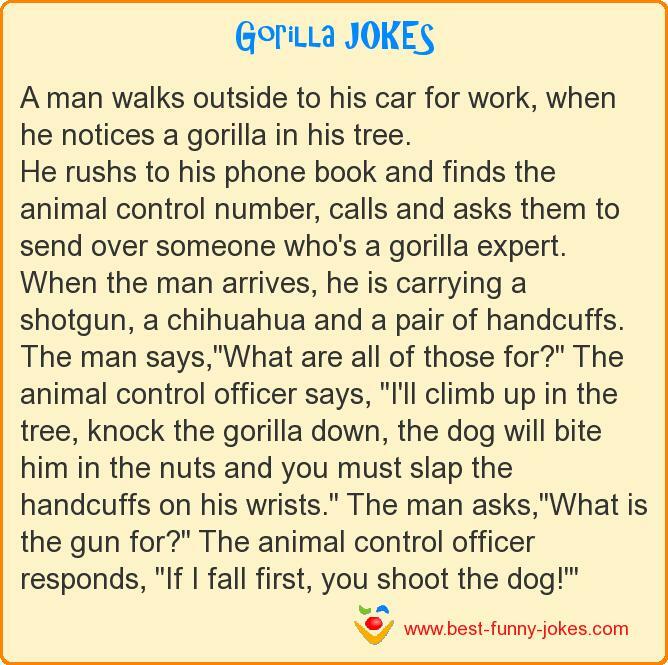 When the man arrives, he is carrying a shotgun, a chihuahua and a pair of handcuffs.